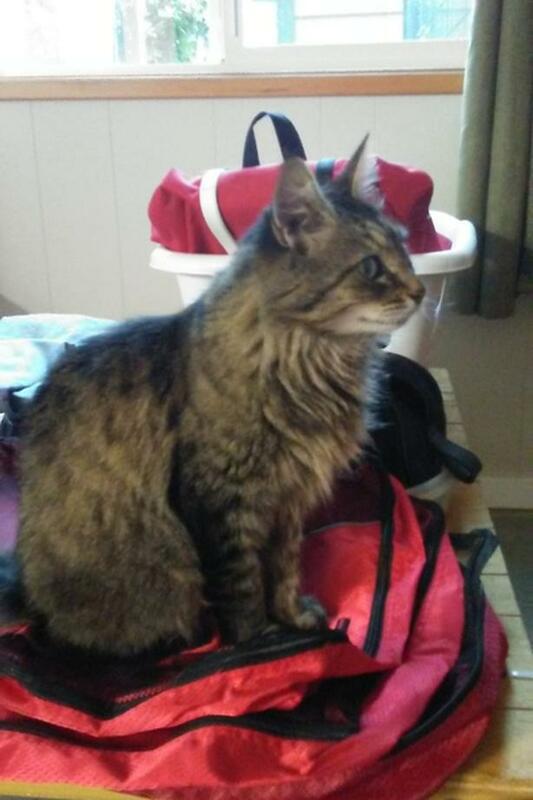 Missing - Gera, grey/brown tabby, a tiny 6-7 lb, distinctive lines above eyes. Red collar with bell and name tag. Brooks Landing area. Responds to name and treats.